Wine is hard to understand: There are too many choices, and wine is for snobs. How many times have I heard these arguments from wine beginners? You are paying more and more attention to the food you are eating. Come on, successful TV shows like TopChef and MasterChef are mainstream witnesses. The same goes for cupcake mania or the organic food trend. Food made its e-revolution on TV, online and in apps, but what about wine? Dinners are a kind of social proof, with wine being a key part of socializing. Dressing like a gentleman and cooking like a 5-star chef is nice, but it is of no use if you fail the part with alcoholic beverages. But there is good news: Now you can learn about wine and enjoy it, too! When we start a wine tasting session at wiine.me, we invite people to eat white and black chocolate pieces. Indeed, if you can feel the differences in taste like a chef (the sweet and honey aroma of white chocolate vs. the bitter taste of black chocolate), you can describe wine the exact same way. The key is to teach people to slow down. On top, we want to take the snobbery out of wine! If you have just arrived in Switzerland, it may seem like a gigantic effort to learn about wine. The choices are broad, the descriptions are fancy, and winemaking seems to be a Walter White kind of chemistry. Home delivery: No need to be afraid of opening the door of your dusty wine shop around the corner anymore. Price comparison: From e-commerce to the famous wine-searcher website, you can check anytime, anywhere whether it is a good deal or not. Don’t always trust flash wine sales, though. Wine tasting: If you do not mind reading a bit, take a look at some cool blogs like WineFolly to get the basics. How to start learning about wine? At wiine.me, we wanted something radically different. The wine industry died because of its elitarian touch. Therefore, we worked not only on a single part of the wine experience, but on the entire journey for wine beginners. The web has given us the possibility to take any wine amateur by the hand. Slow down: Wine is about the color, scent and taste. You need to go through those three steps. 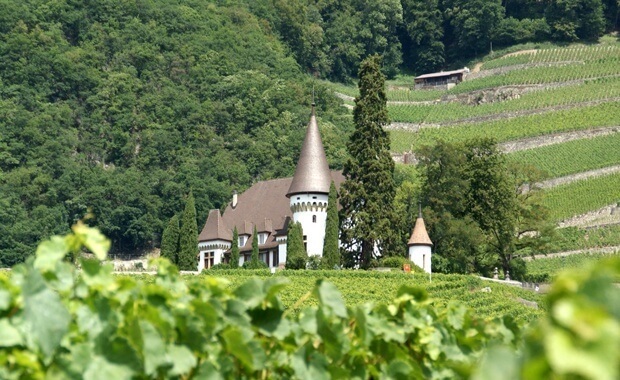 Take a course: We launched wine tasting all over Switzerland and Germany because we felt it was an important theoretical basis to jump into the world of wine. Remember: Take the time to documenting the most interesting wines. With beginners, the tasing notes we send along with every package are very important. have fun: Blind taste with your friends at dinners - a great way to get rid of wine snobs. You can use the wine labels for that. Mobile apps are also offering blind tasting challenges, enabling anybody to play with the wine of the box. Keep in mind: Wine is social. Learn: Since people are more and more lazy, we created a process to learning by drinking. Each bottle is the opportunity for an online exercise with short visual courses. Travel: Instead of giving various choices every month, we let subscribers discover a new area and new winemakers’ profiles as part of the subscription. The future of wine is digital, but your future learning curve is in your glass in the end... Cheers!